The company, which grew from a drugstore in Queens to become a member of the Fortune 500, is making big moves in response to new competition and other challenges. Henry Schein Inc., the Melville-based health care products distributor that grew from a neighborhood Queens pharmacy to become a member of the Fortune 500, is transforming itself again. In April, Long Island's largest public company based on sales announced plans to spin off its unit that provides products to veterinarians' offices, which accounted for $3.5 billion in sales in 2017, or 28 percent of the company's $12.5 billion in revenue. 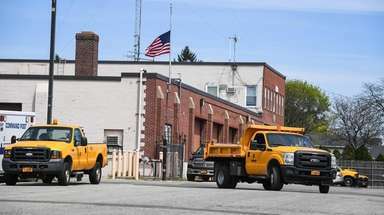 The unit will be combined with Vets First Choice, a fast-growing, Portland, Maine, company, resulting in a separate company. Shareholders of Henry Schein will own about 63 percent of the combined entity. Henry Schein will continue to distribute products, which range from dental floss to computerized dental implant milling machines, to clinics and the offices of dentists and physicians. 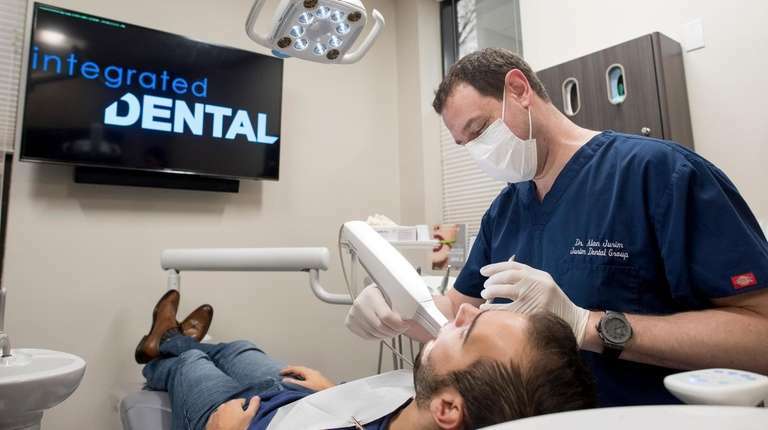 Also in April, the company said it would roll its dental software unit into a majority-owned joint venture with El Segundo, California-based Internet Brands, the operator of automotive, legal, travel, home and health websites. Chairman and chief executive Stanley M. Bergman said in an interview the joint venture would provide dental practices with "key ingredients" for success, including Henry Schein's expertise in electronic medical records and practice management software augmented by the "big data" and "artificial intelligence" capabilities supplied by Internet Brands. The moves by Henry Schein are "transformative," said Ross J. Muken, an analyst at Manhattan-based Evercore ISI, a New York brokerage and research firm. The spinoff of the veterinary business was done to “stave off online competition,” he said. Competition from Amazon.com, which began expanding the sales of dental and medical products on its business-to-business website last year, is one of several challenges emerging in the past year and a half for Henry Schein. The Federal Trade Commission launched an antitrust case in February, accusing the company and two other dental-supply distributors of colluding to limit competition. 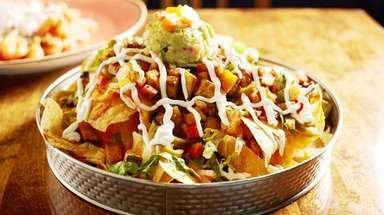 The company has denied the charges. And after years of a steadily advancing stock price, the shares have fallen about 25 percent since peaking at $93.50 last June. The changes at Henry Schein are being engineered by the team led by Bergman, who has served as chief executive for 29 of the company's 86 years. Founder Henry Schein, the son of immigrants from the Austro-Hungarian Empire, was born on the Lower East Side of Manhattan in 1908. After graduating from Columbia University's College of Pharmacy, he borrowed $500 and opened a drugstore on 65th Street and Roosevelt Avenue in Woodside, Queens, during the Great Depression. 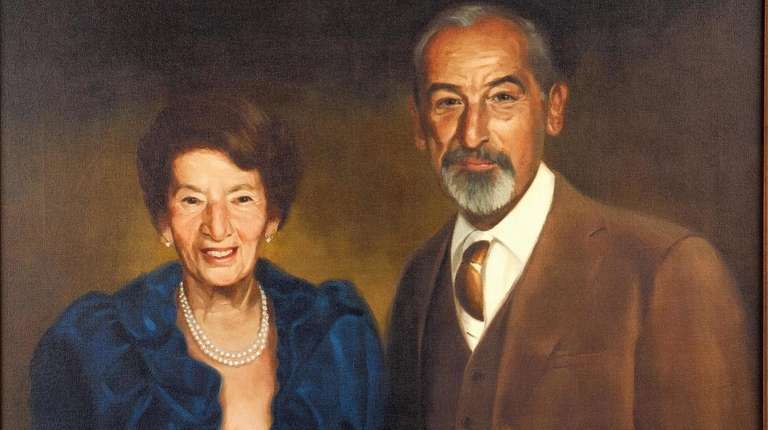 In addition to running the pharmacy, Henry Schein and his wife, Esther, launched a mail-order business to supply products to physicians' offices. Around the end of World War II, the new miracle antibiotic penicillin was in short supply. Henry Schein found a supplier, made it available by mail order, and business boomed. Sales broke $1 million by 1959. Three years later the company introduced its own catalog, which replaced the flyers it had been using to promote its mail-order products. In its early days the company played the role of disrupter to the existing business order, much as Amazon.com does today, Henry Schein's chief financial officer, Steven Paladino, said at a Deutsche Bank conference in May. "Henry Schein at one point was one of the discounters, being a mail-order . . . distributor before we went public," Paladino said. Jay Schein, a son of the founder, became CEO in 1980. In 1983, the company harnessed the technology of the day by introducing Touch-Tone telephone ordering. Five years later, Jay Schein led the push to build an early system that let customers order via computer. 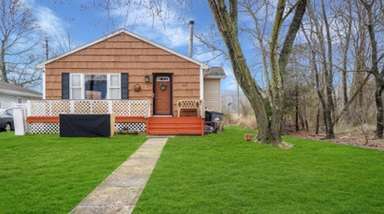 He also expanded the company's generic-drug unit, which in the 1990s separated from Henry Schein Inc. and became Schein Pharmaceutical, based in Florham Park, New Jersey. 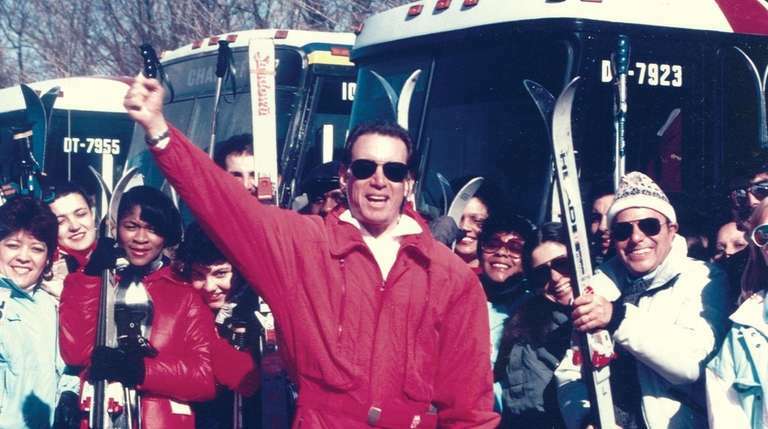 Jay Schein helped instill the "Team Schein" culture's can-do spirit and led corporate ski trips, according to the corporate history. 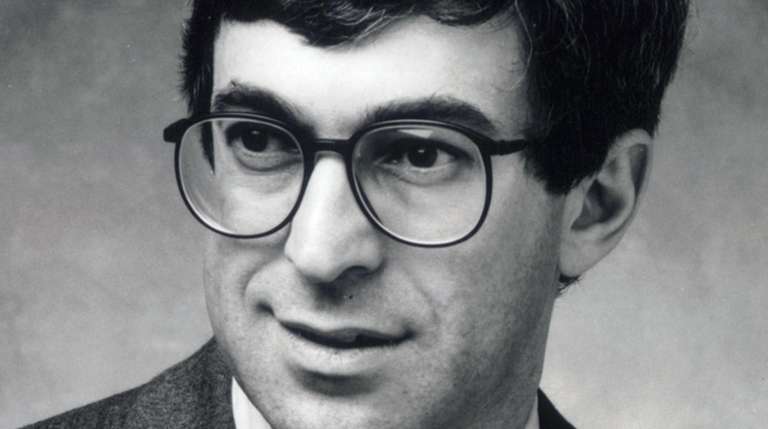 Bergman, who joined the company in 1980 as chief financial officer, was executive vice president in October 1989 when he received a call from Jay Schein, who had terminal cancer, according to the company's published history. Jay Schein said the call would be his last to Bergman, and insisted the executive say these words aloud: "We will keep the vision alive." Bergman became CEO in 1989 at age 39. The private company had annual sales of more than $200 million and almost 900 employees, but it was failing to turn a profit, according to the corporate biography. Bergman, a native of South Africa, quickly began seeking acquisitions in North America and around the world to consolidate fragmented markets. That strategy accelerated Henry Schein's growth; last year 33 percent of the company's sales were outside the United States. 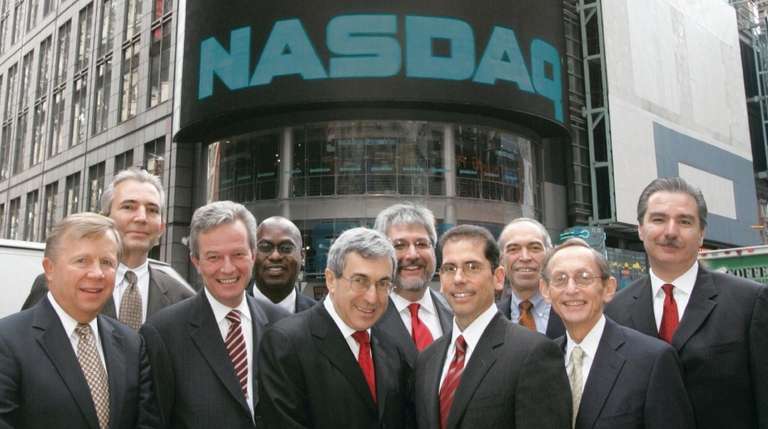 In November 1995 the company went public on the Nasdaq Stock Market, raising $72.8 million. Revenue began a steady climb, breaking the $1 billion mark in 1996. Except for a down year in 1997, net profits followed. By 2004 Henry Schein had sales of $4.1 billion, edging into the Fortune 500 ranking of top U.S. public companies based on revenue at No. 487. Last month the latest Fortune 500 list came out, and Henry Schein ranked No. 238, with 2017 net sales of $12.5 billion. Henry Schein's 15 percent compound annual growth rate in earnings per share from 1995 through 2017 made Bergman a fixture on "Mad Money" and other shows on financial network CNBC. Concerns about Amazon.com and antitrust issues, however, have hurt the stock. 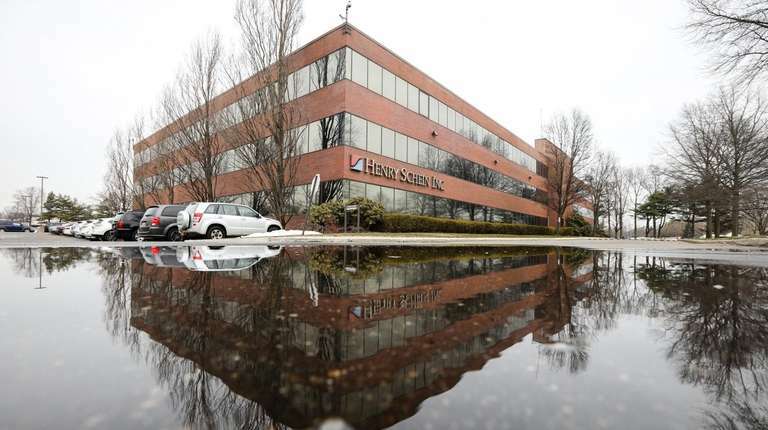 In an interview, Bergman characterized the threat from Amazon as "overblown" and said the consumer-focused Seattle company lacks Henry Schein's focus on business-to-business customers. Henry Schein's service leans on the human touch, with about 2,300 tele-sales representatives and more than 4,200 field sales consultants at the end of 2017. CFO Paladino estimated Amazon's market share of the dental and medical products distribution market at "1 percent or slightly higher." Muken, the analyst at Evercore ISI, said Henry Schein will "fight back with a higher touch approach" that provides a deeper level of customer service, but "you can't count [Amazon] out." As of early May, Muken had an "in line" rating for Henry Schein, meaning he expects its shares to keep pace with other health care stocks in his coverage area. The FTC's antitrust case follows antitrust lawsuits filed by small competitors against Henry Schein in recent years. Plano, Texas-based medical product distributor Archer and White Sales Inc., filed suit against Henry Schein in 2012. In that case the U.S. Supreme Court in March granted a stay to Henry Schein that effectively delays a trial until the high court decides to either decline to hear the case or determine whether the dispute should be referred to arbitration. In June 2017 Henry Schein agreed to settle an antitrust lawsuit filed in U.S. District Court in Central Islip in 2015 by e-commerce company SourceOne Dental Inc., based in Chandler, Arizona. That case charged that Henry Schein colluded with two other major dental supply companies, Patterson Companies Inc., based in St. Paul, Minnesota, and Benco Dental Supply Co., based in Pittston, Pennsylvania, to fix prices and stifle competition by undermining efforts to organize dentists' buying groups. In settling, Henry Schein denied wrongdoing and said it only wanted to avoid "further distraction and cost." Henry Schein said the settlement cost 4 cents a share in its second-quarter 2017 results. The antitrust complaint by the FTC, filed in February, said that Benco, Patterson and Henry Schein "control more than 85 percent of all full-service distributor sales of dental products and services nationwide." The FTC charged that the companies conspired to boycott or refuse to offer discounts to dentists' buying groups. Henry Schein, besides denying the charges, said it does not expect the case to have a "material adverse effect" on its finances. An administrative trial in Washington, D.C., is scheduled to begin in October. Muken said the FTC case, which does not seek monetary damages, likely will end in a compliance agreement on future business practices. "Your success rate in fighting the government is not particularly good," he said. The antitrust cases contrast with the Henry Schein corporate culture's stated goal of "doing well by doing good," which was the title of a speech Bergman delivered at Hofstra University in 2014 and is highlighted in corporate materials such as its 2016 Responsibility and Sustainability Report. Henry Schein Cares, a not-for-profit established in 2001, provides a variety of services, including dental care to underserved children in the United States and needy Holocaust survivors in North America. 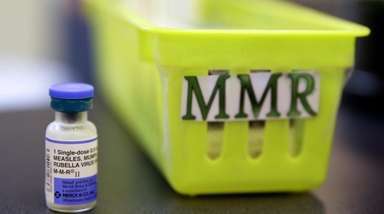 The charity has donated cash and health care products to relief organizations for communities hit by hurricanes, typhoons and wildfires and established an Ebola relief fund in response to an outbreak of the disease in west Africa. In 2015, according to the latest available data, the charity paid out $3.9 million. In November 2016, Bergman became the co-chair of the Muslim-Jewish Advisory Council, a national group formed to champion the rights of religious minorities. Co-chairing the group is Farooq Kathwari, president and chief executive of Ethan Allen Interiors Inc., a home furnishings company based in Danbury, Connecticut. Henry Schein hopes that the spinoff of the $3.5 billion animal health unit will pay off for its shareholders, who will hold a majority stake. "Spinoffs in general have been a winning strategy for investors," said Mitchell O. Goldberg, president of ClientFirst Strategy Inc., a Melville investment company. 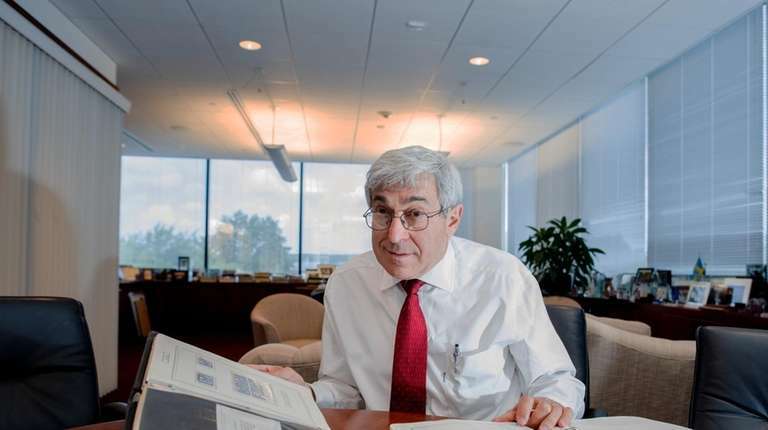 Paladino predicted the stand-alone company formed by the spinoff will fetch a higher valuation in the stock market than if it were "embedded with" Henry Schein: "We don't look at it as, quote-unquote, getting rid of the animal health business." The dental software joint venture, the other big change announced in April, will be 70 percent owned by Henry Schein and named Henry Schein One. On a "pro forma" basis — accounting for the two operations as if they were already combined — Henry Schein One, based in American Fork, Utah, would have had 2017 sales of about $400 million. Bergman said that technology provided by Henry Schein will aid practitioners in running their businesses successfully. "If they don't run a business, they can't achieve their goals," he said. The new company's practice management software is seen as a key element in integrating Henry Schein into the operations of dentists' offices, a market that accounted for 48 percent of 2017 sales, or $6.1 billion. Morningstar analyst Vishnu Lekraj wrote in a research note that Henry Schein's practice management software "locks customers into its grasp." Henry Schein, now with more than 22,000 employees, points to demographic trends that will fuel future growth in the medical- and dental-supply businesses. The trends include the aging of baby boomers in the United States, the increasing number of medical procedures done in offices instead of hospitals (which are not supplied by Henry Schein) and the growth of middle classes in emerging markets where the company is seeking footholds. Muken rated Bergman as an "A-plus manager" but said there are no guarantees the structural changes will ignite growth. "Now it's just a matter of how the business responds."